At times Pipeworx feels a little isolated from the rest of the PLH Group of companies, seeing as they are located in Western Canada. 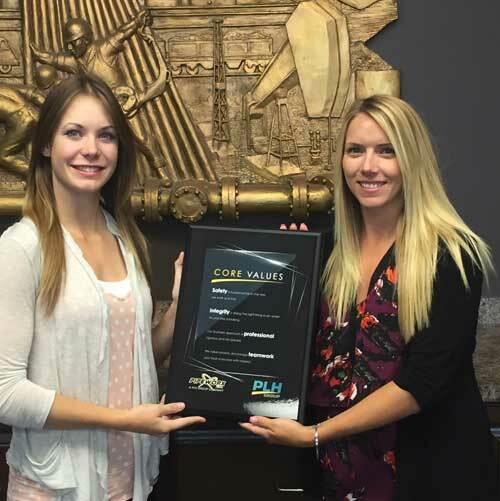 However, when the Core Values Plaque arrived, professionally and artistically designed, Pipeworx employees felt much closer to their sister companies. The staff is proud to display the plaque in the main reception area, next to the many corporate awards and notable press articles about Pipeworx. “It’s a great reminder of our Core Values for everyone who works and visits Pipeworx,” commented Davon-Rae Johnson.